Repairs and refurbishment of all makes and brands of marine cranes, winches, and anchor handling and deck equipment. Custom on-site test environments available for load and pull testing. 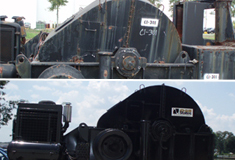 Vast inventory of spare parts to accommodate a wide range of marine and offshore support equipment.